Projects submitted must be the original work of the participant, not ended before January 1-2014. It is possible to submit more than one project, but each project requires the submission fee. By submitting the film to COLLATERAL 102 festival you confirm to own the rights of the film. After the official selection all the finalists will compete in the contest. Members of a competent jury are in charge to nominate the best short and the best feature by November 5 2018. The winning films will be played in a cinema hall in Turin, during a public event. 3rd edition of COLLATERAL 102 submission will be possible from from December 2018 to November 2019 on our online platforms. 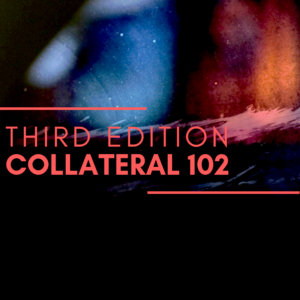 3rd edition of COLLATERAL 102 festival reserves the right to make any necessary changes to the final event. Rates for submission are not refundable. Complete rules and conditions are here below shown. The films submitted to the contest will remain in the files of the Festival and the video archive of the Cultural Association Systemout. The works will not be commercially exploited. Before any other different use, the authors will be contacted for receiving their agreement. Systemout Association is taking reasonable security precaution to protect the copyright of the film submitted to the Festival. For films lasting between 1 and 59 min. For films lasting at least 60 min. To enter the official selection of COLLATERAL 102 festival , movies will be subjected to the vision of an internal jury of the festival. The selected movies will access the official competition. There will be prizes for the best short film and the best feature film. The winners of each categories will be chosen by a Jury who will view films during the festival, and will vote for: subject, script, direction, photography, acting. All decisions regarding the winners are final and irrefutable. Art. 1 The 3rd edition of COLLATERAL 102 festival is an independent cinema festival open to any form of artistic expression. Feature films: films with a running time of 60 minutes or more. Submitted films should be an original work of the contestant and should have been completed after January 1 2015. Films dealing with all themes are allowed to the festival, with the only exception of advertising and pornographic, or themes in contravention of the provisions of the Italian law. Films in any different language from English must be subtitled in English. Films in Italian are allowed not to have subtitles. Art. 2 – The contestants, when submitting the film, guarantee that they have full rights to present it and engage themselves to hold harmless the Systemout Association for any fact linked to the possession or diffusion of content of the same under the conditions of the terms and rules of this document. Films must be compulsorily submitted on the online platform Filmfreeway, and, if applicable, by the simultaneous festival fee payment. The Systemout Association has the right to exclude from the festival any film that is judged, at its sole discretion, not compliant with its ethical code or to the provisions of applicable law. In case of exclusion, the festival fee that has already been paid will not be reimbursed. Art. 3 – The 3rd edition of COLLATERAL 102 festival enrolling fee is 15$ (Short) / 18$ (Feature) (USD) for one film. Additional films can be submitted under the payment of an additional 15$ /18$ (USD) fee for each of them. The payment of the festival’s submission fee implies the acceptance of the terms and rules defined in this document and your association, after approval , to the Systemout Association until December 31 of current solar year as an affiliated member without vote right, as defined in Art. 4 and Art. 5 of the association Bylaw. With the payment of the submission fee, the contestant declares to accept without reservations and exceptions the Association Bylaw, the Code of Ethics and Role book that are available on the Association official website (www.systemout.org).e (www.systemout.org). Art. 4 – The films submitted to the 3rd edition of COLLATERAL 102 festival will remain in the files of the Systemout Association, which will not share them without previous agreement with the contestant and except to the provisions that are described in the Art. 5 and Art. 6 of the present document. The contestant’s personal information will be managed in accordance with the rules defined European Law (UE 2016/679) concerning the privacy code, according to which the personal identification data will be processed only for the purposes indicated in this regulation. Each subject has the right to request in writing (info@systemout.org) the correction, updating or cancellation of his / her personal data. The data controller is the Systemout Association in the person of its legal representative Sig. Mauro Russo. By submitting a film to COLLATERAL 102 , the contestant agrees to receive from the Systemout Association information concerning the activities of the Association by email. Art. 5 – By submitting a film to the 3rd edition of COLLATERAL 102 festival, the contestant allows the Systemout Association to make available to the public the submitted film data sheets. These ones are created when using the most relevant film characteristics that are communicated by the contestant during the submission of the film on the web platforms. The above-mentioned film data sheets could also be available on the websites and social networks areas (pages and groups) managed by the Association. 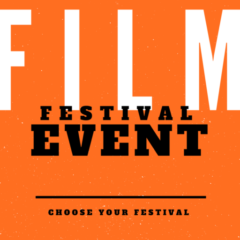 In the case in which the Festival includes a public exhibition of the selected or awarded films, the contestant, when submitting the film, also grants the Association the free right to show it during the Festival events. In case of public projection, the contestant will provide the Association with additional film and personal information to comply with the administrative provisions in force. The contestant will communicate the above information by using a form that will be provided to him/her for the purpose. Art. 6 – Submissions to the 3rd edition of COLLATERAL 102 festival will open on December 13 2018 and will close on November 07 2019. 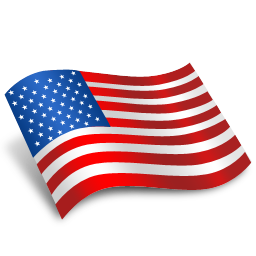 They will be performed by using the above-mentioned web platforms. The selected film sheets will be available on the official website www.filmfestivalevent.com, as defined in Art. 5. The festival jury will also define, at its sole discretion, the winners of the festival categories. The names of the winners will be announced on the festival website www.filmfestivalevent.com, on the social networks of the festival (Facebook and Instagram) and to the winners’ email address that are communicated at the time of the film submission. Art. 8 – The 3rd edition of COLLATERAL 102 festival final event will be a public event in the Cinema "LUX".Galleria S. Federico, 33, 10123 Torino TO, including the awarding and projection of the winning films and ideally other with special characteristics. The event will be on December 11 2018. The awarded contestants, the public and specialized press are all invited to the live event. The Association cannot engage itself in any reimbursing for trips and stay of the invited to the event. 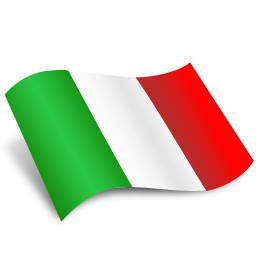 This document, for contestants’ convenience, is a non-binding translation of the official terms and conditions issued in the Italian language; in case of litigation, the official text is the original in Italian language . Art. 1 COLLATERAL 102 è un festival di cinema indipendente che mira a dare spazio ad ogni tipo di linguaggio. Cortometraggi: film con durata compresa tra 1 e 59 minuti. Lungometraggi: film della durata minima di 60 minuti. I film che vengono iscritti devono essere opera originale del partecipante. La loro realizzazione deve essere stata terminata dopo il 1° Gennaio 2014. Sono ammessi film di tutti i generi, ad esclusione di quelli a contenuto pubblicitario, pornografico o contravvenente alle disposizioni di legge italiane. Tutti i film in una qualsiasi lingua diversa dall’inglese devono avere obbligatoriamente i sottotitoli in inglese. Viene fatta eccezione per i film in lingua italiana o spagnola per i quali i sottotitoli non sono necessari. I film devono essere presentati esclusivamente attraverso la piattaforma on line: Filmfreeway, contemporaneamente al versamento, quando previsto, sulle medesima piattaforma della relativa quota di iscrizione. L’associazione a suo insindacabile giudizio si riserva di escludere dalla partecipazione al festival e/o respingere opere che contravvengono a leggi vigenti o ai principi etici della medesima , in tal caso la quota di partecipazione già versata non potrà essere rimborsata. Art . 3 La quota di partecipazione al festival COLLATERAL 102 varia da Dollari (USA) 15 a Dollari (USA) 18 a seconda della tipologia di categoria e permette la partecipazione di un film.. È possibile iscrivere più di un film , ma ognuno di essi comporta il pagamento della relativa quota di partecipazione. Art. 4 Le opere presentate al COLLATERAL 102 rimarranno negli archivi della associazione Systemout che ne garantirà la non diffusione a terzi salvo previo accordo degli aventi titolo, fatto salvo quanto previsto agli articoli 5 e 6 di questo regolamento. I dati personali dei partecipanti saranno conservati per 2 anni e gestiti secondo le disposizioni della legge Europea; Ai sensi del UE 2016/679 in materia di codice della privacy si comunica che i dati identificativi personali saranno trattati ai soli fini del progetto o dell’attività indicati nel presente regolamento. Ogni soggetto ha la facoltà di richiedere in forma scritta attraverso l'indirizzo info@systemout.org la rettifica, l’aggiornamento o cancellazione dei propri dati personali. Titolare del trattamento dei dati e’ l’Associazione Systemout, con sede in Via dei Giardini,10 - 10023 Chieri - Torino, nella persona del legale rappresentante pro- tempore Sig. Mauro Russo. Con l’iscrizione al COLLATERAL 102 il partecipante consente di poter essere destinatario di successive comunicazioni relative alla attività dell' associazione Systemout tramite e-mail. Art.5 Con l'iscrizione al festival COLLATERAL 102 il partecipante autorizza l'associazione Systemout a rendere disponibile per le opere selezionate o premiate, la Scheda Film redatta sulla base delle principali informazioni relative all'opera, fornite dal partecipante al momento dell'iscrizione sulle diverse piattaforme. Tali schede film potranno altresì essere rese disponibili sui siti web gestiti dall'associazione Systemout, come pure sui relativi spazi ( pagine e gruppi) presenti sui diversi social network. In caso il festival preveda la proiezione dei film selezionati o premiati, il partecipante con l’iscrizione al festival concede l' autorizzazione gratuita all’associazione per effettuare, nel contesto delle iniziative del festival, una proiezione al pubblico del film presentato. Il partecipante , in caso di proiezione di un suo film, si da disponibile a fornire i dati personali e dell’opera necessari per soddisfare gli adempimenti di legge. Tali dati dovranno essere comunicati tramite l'apposito formulario che sarà inviato agli interessati. Art. 6 La presentazione delle opere al COLLATERAL 102 festival potrà iniziare il 13-Dic-2018 e dovrà avvenire entro il 07- novembre - 2019 attraverso la piattaforma sopra citata. Sul sito www.filmfestivalevent.com, per le opere selezionate verranno rese disponibili una sintesi delle informazioni comunicate all'atto dell'iscrizione, più sopra chiamate Schede Film. La giuria selezionerà entro il 21 novembre 2019 le opere che parteciperanno all’evento. I nomi dei vincitori nelle diverse categorie verranno annunciati sul sito internet del festival www.filmfestivalevent.com , sui social media del festival; Facebook, Instagram, etc e all' indirizzo e-mail fornito dal partecipante sulla piattaforma in fase di iscrizione. Art. 8 Il festival COLLATERAL 102 prevede un evento Live pubblico, con proiezione e/o premiazione dal vivo delle opere vincitrici, più eventuali altre opportunamente scelte. L'evento avverrà il giorno 11 dicembre 2019 presso il Cinema "LUX" - Galleria S. Federico, 33, 10123 Torino TO. All’evento saranno invitati i partecipanti coinvolti, la stampa e il pubblico. L'associazione non può garantire rimborsi di sorta per viaggi o soggiorni degli invitati alla presentazione live.